MobileTC - The name of the Arab-Islamic Baby Name is a baby name search application especially in arab language such as Persian or Arabic names such as companions of the Prophet, the Prophet's wife names and so on. You will find a beautiful, unique name in Arabic that you haven't met before because in this application contains thousands of names in Arabic. For those of you who are confused choosing baby names and their meanings then this application can help you find baby name ideas for a baby boy names and baby girl names. You can choose a baby names and their meanings and then merangkainya into a series of meaningful baby name for the fruit of your heart. We provide also the application of Modern baby names, Muslim Names, Islamic names, the name of Christian, Hindu Name, Hebrew name, Latin name, name, name of the Arabs and many more of which there are thousands! This application is intended as a reference to islam's naming the best fruit for your heart. In the application of the Islamic baby names, there is a wide range of collection of the best baby names that we arrange by the initial letter of the word or index future baby. The arrangement of this beautiful baby names makes it easy for you to find quickly and proper names that correspond to the dreams of the fruit of your heart. In this application there is a quick search feature that is increasingly easy to find relevant words according to what you are looking for. You can keep the name if in accordance with your kreteria by pressing the bookmark menu and can also share the name of the best according to you to your husband or your friends. In this application we design flats as easy and as interesting as possible that make you welcome in using Islamic baby names application. This application is suitable as an option for you as a mother or husband who are in need of baby names reference is complete without having to connect to the internet because this application we design also offline. Wait what's more, the application of this most complete baby name and our support as a form of appreciation on your team application developers. 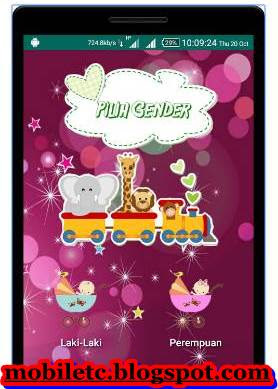 Finally we wish this app useful and welcome find baby name of your dreams.